Raul to MLS? Open the wallet. Raul is an interesting case, because the impact he would make is hard to predict. He was a world-class player in his prime, and still has Galactico status in Madrid but is finding it harder to get himself on the team sheet ahead of the likes of Higuain and Benzema, and it will only get harder still. Spanish paper Mundo Deportivo has him leaving for MLS at the end of this season, despite one year remaining on his contract. The Goal.com story goes on to link him to the Union, seemingly on the basis that they are in fact, an MLS soccer team. 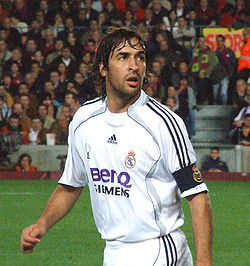 Raul will cost a lot of money, is known have a bit of an ego, and it is unknown whether he will be motivated and score goals without both the adoring crowds and top-class service he gets playing for Los Blancos. Despite these reservations, there is no doubt he would be an instant draw and shirt-salesman, and I mean, c’mon, it’s the Raul! Kidding aside, I think Raul will end up in MLS, but that the Union will ultimately be priced out. It might seem crazy to use a DP slot on a defensive midfielder, but Vieira could well command that type of salary, so he’s included here. 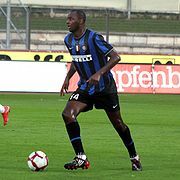 The former Arsenal captain is now 33, minus a half step, and can hardly get a game for the Nerazzurri and their stacked midfield. Interest from EPL clubs (including a possible reunion with Arsenal) has cooled, and he will be out of contract at the end of the Serie A season. Based on quotes from this past September 2, he seems to have more than a passing interest in making a move to MLS, and at this stage of his career it would make a lot of sense for both sides. I’d like this move for a few reasons. He has lost a bit of pace but remains a tough-tackling physical presence in the center of midfield and would need no adjustment to that side of the game. He also has a good range of passing and is very composed on the ball (something lacking in many MLS players). His experience and leadership would make Peter Novak’s job easier, and of course he would have one of his countrymen, Le Toux, to bust out the Français with. Alessandro Del Piero looks back on 500+ Juventus appearances. A bona fide legend for Juventus, Italy, and world soccer in general, Del Piero would be a massive signing for any MLS team. He is much more of a creator than a Raul, and doesn’t rely on service to get goals (like his trademark nasty free kicks). My money would be on him retiring with his beloved Juve, but he has been linked with a move to MLS several times in the past few years. Juve fans can attest that even at 35 he can still really play, and he is a passionate and committed footballer that would be unlikely to just dog it and collect a check in MLS. That check, however, is where the problem lies for the Union. It’s gonna be a big fat greasy one, what with him already being one of the highest paid players in Italy. He would be a big draw, sell a lot of shirts and likely score some great goals, but I’d put this as least likely of the three. Excellent background info. You’re probably right though, they’re all probably a bit of a reach for the Union. But then again, I didn’t see Ljundberg going to Seattle and that has turned out to be pure inspiration. What hole on the roster do you think needs the most attention?